Team SP 1st to cross finish line in Three Peaks Yacht Race Challenge! Our incredible £40k for charity team challenge! for national and local charities through a series of challenges throughout the year. Nationally, the main beneficiaries will be the Rainbow Trust children’s charity which helps families who have a child with a life-threatening illness to make the most of time together and the Make A Wish Foundation, which arranges amazing experiences for very poorly children. Locally we will be supporting the Evergreen Care Trust, which promoting healthy ageing and healthy attitudes towards older people, as well as other charities nominated by our staff. 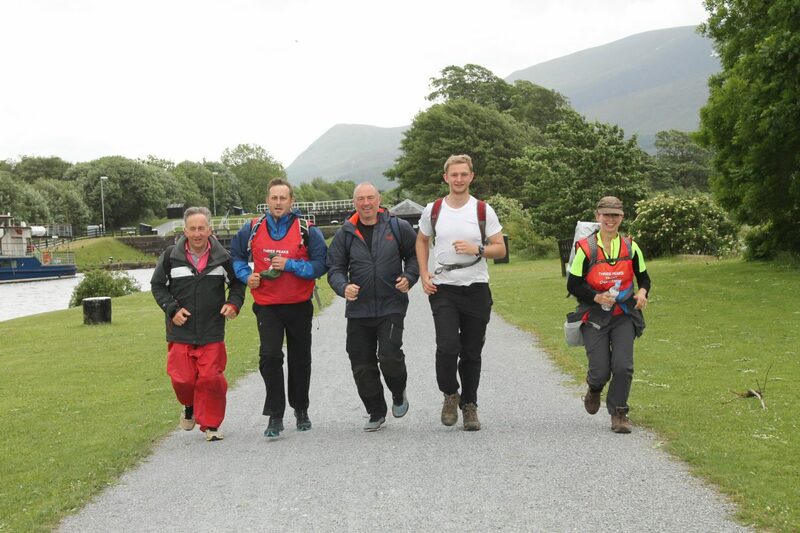 Our first challenge took place over the course of the last week, starting on Saturday 9 June at 17:00hrs and finishing on Thursday 14 June in the afternoon. http://The http://www.threepeaksyachtrace.co.uk; the challenge involves sailing a yacht with a crew of 4/5 from Barmouth to Fort William; climbing the UK’s 3 highest peaks along the way (Snowdon, Scafell Pike & Ben Nevis).